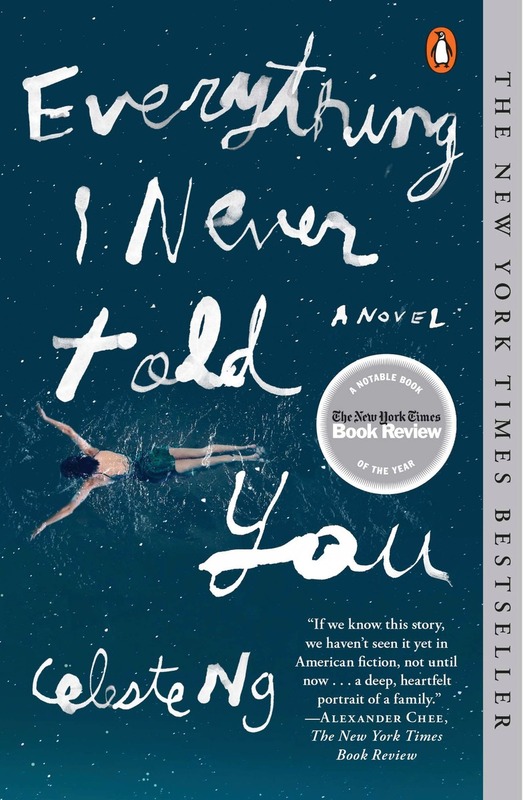 A while ago I read Celeste Ng’s bestselling novel Everything I Never Told You and had meant to review it, but, perhaps ironically, a death in my family derailed me for the better part of the past two months. Now that life permits, I’m going to share my thoughts on this super-hyped novel. Everything I Never Told You is about the Lees, a Chinese-American family living in a small Ohio college town in the 1970s. One morning, the family notices that their middle child, Lydia, is missing; soon, however, Lydia’s body is found floating in the lake near the family’s home. The mystery of how and why Lydia ended up in the lake consumes both the town and the Lee family. However, even after the sensationalism surrounding the young woman’s fate fades from the headlines, the mystery of her death and the aspects of Lydia’s life she never shared with her parents and siblings begins to tear the family apart. Long-held resentments make themselves plain and, for the reader, the degree to which Lydia was a cypher for her family’s aspirations and frustrations becomes startlingly clear. The aspect of the novel that I appreciated most was Ng’s exploration of what it is like to live in a biracial family, particularly in a non-urban environment. Ng’s exploration of the micro-aggressions that the Lee family face at home and school helped me to better understand the character’s motivations and interactions with one another. As a European-American woman who has spent her whole life in a suburban area, this novel made me stop and think twice about the ways in which my own preconceptions of race and racial performance have influence my interactions with others. Moreover, the novel made me reassess the ways in which our parents’ frustrations and aspirations are projected on to us and the degree to which we, as children, are responsible for mediating these projections. While the novel provides no easy answers for either the Lee family nor the reader themselves, Everything I Never Told You does what all great works of literature should do: force you to take stock of your position in the world.